Since 2012, I have checked into 8 different beers by Maui Brewing Company, according to Untappd. All beers I rated at least 3 or higher. Lorenzini Double IPA was the latest beer I have had from this Hawaiian brewery, and I gave this bad mother fucker the highest rating, a 5 out of 5. This beer is a perfect example of a Double IPA. It had everything I expected from a DIPA brewed with blood oranges and cane sugar. 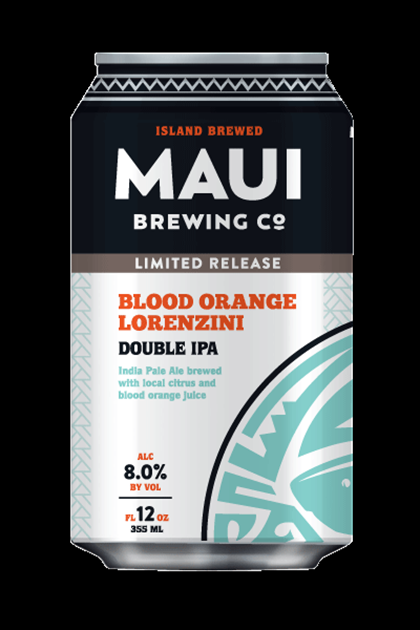 A recent visit to their website, I see that they have re-branded their packaging, and it seems as if this beer has taken a new form in Blood Orange Lorenzini, and is a new limited release from the brewery. Can’t wait to get my hands on the new “version” of this beer. The packaging around this can is awesome. The can is overall blue like ocean water, featuring a large shark swimming right past a scuba diver. It’s an all over print on the can, which I prefer way much more than the new can design. I love visuals, and I think the overall print on a can is a lot more eye catching than a standard regular template design that they have gone with now for their new cans. Each beer before has cans in different colors, and now they are all the same color with just the clip art image and text being different. BORING! Give me print, or give me death! The shark on the can makes perfect sense since the name comes from the ampullae of Lorenzini, which are special sensory organs that help sharks detect electric fields in water. Used to locate prey. Poured into an IPA glass, Lorenzini appeared cloudy, and orange/copper in color that was topped with a 1.5 inch white foamy head, which dwindled down to a thin layer atop the beer, leaving spotty lacing down the glass. All fruit up front in the aroma with notes of citrus, blood oranges, tangerines, orange zest, grapefruit, tropical fruit like mango, and papaya. There was also a hint of caramel, pale malts, sweet sugar, a tad bit floral, and biscuit bread. A scent that reminds me of green tea also showed up, giving this beer a unique overall aroma. Lingering aroma of grapefruit, and oranges. The taste was very similar to the aroma, a very fruity beer. Right up front, there is all tropical fruit and citrus. Blood orange, tangerine, grapefruit, mango, papaya flavors all hit the taste buds at once, and each showed dominance with each sip I took. There is a hint of floral hops mixed with sweet sugar, caramel and pale malts. Towards the end, again, I get that flavor that reminds me a lot of green tea. The aftertaste is similar to that of an orange or grapefruit shandy or even just straight up fruit juice. The body is medium with a crisp, yet slick mouthfeel. Moderate carbonation. This beer finishes spicy and dry. Overall, as I said earlier, I gave this beer a perfect score of 5 out of 5. The flavor profile was amazing, and delivered on all promises of blood orange, tangerine, sweet sugar cane, and a bouquet of hop character. That is the main thing that will get me to rate a beer high; it’s delivery on promised flavors. I know the new version of this beer will be hitting shelves pretty soon, and if it is available in my local stores, I will definitely pick it up, and so should you. Just don’t pass it up with it’s new “Amazing packaging” (Read in sarcastic voice). Metal Connection: This one was fairly easy. After a quick search, the perfect song was found for this Metal Connection. 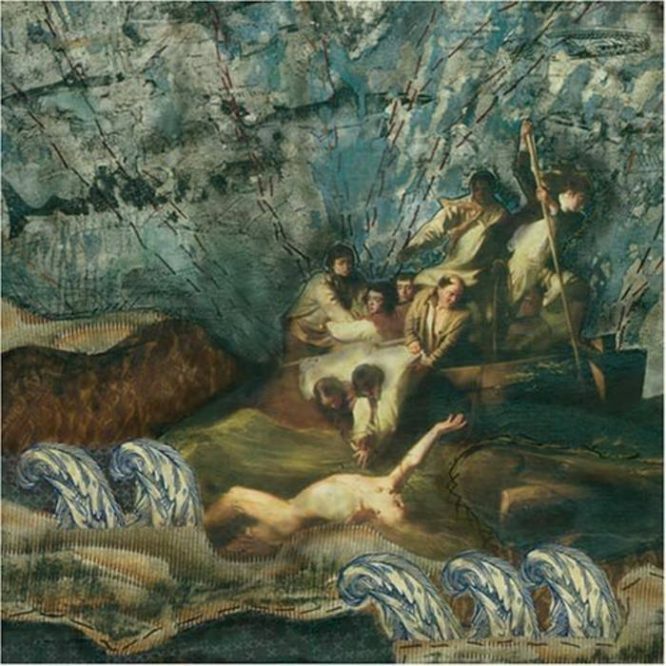 Giant Squid, a Doom/Post-Metal band from California released a song called “Ampullae of Lorenzini,” which appeared on their 2004 debut and on their 2006 full length album, both titled the same, Metridium Fields. 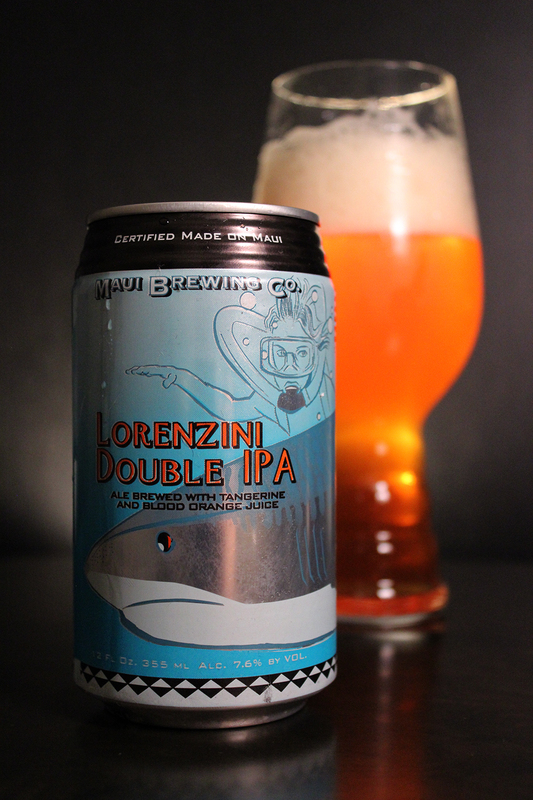 After all, the ampullae of Lorenzini is what the beer was named after. This song is a 9 minute twisted tale of love, as I see it. In sharks and rays, the ampullae of Lorenzini helps to locate prey by detecting electric fields in water. The lyrics seem to talk about the mysterious depths of an ocean, and how magnetically it gets our subject through life. Lyrics can be interpreted in so many ways, and unless you know the actual lyricist, it’s usually up to the listener to decide what the song is about. I see this whole song as a metaphor for someone’s love life. It is a well played, and dare I say, beautiful song. Listen to the whole thing through, and you be the judge. Watch out for sharks though!